Preparing for disaster situations and putting in place plans for recovery can make all the difference, therefore avoiding the price of failure. Businesses who can successfully manage a crisis with minimal cost and impact on their operations. Those left to pick up the pieces or, worse, go under as a result. Below, we give some examples of typical scenarios that can have dire consequences on ill-prepared businesses. Large scale floods in the UK have caused many homes and businesses to lose irreplaceable data. Needless to say, water and technology don’t mix. Flood damage to Servers and PCs can leave the data contained on them irretrievable. Simple precautions using remote backups, having access to temporary offices can mean a business is able to recover surprisingly quickly. Resulting in dire consequences for their future, too many businesses caught up in the floods either had no off-site backup or inadequate on-site backup. According to one industry study conducted by The Diffusion Group, 60% of smaller companies that lose all their data, go out of business within six months of the disaster. The results of a similar study carried out by the British Chambers of Commerce found that 93% of businesses that suffer data loss for more than 10 days, went bust within a year. Also, 50% within weeks of a catastrophe happening. With today’s automated off-site backup solutions, and options for home working, alternative temporary office space or a mix of the two, there’s little reason why any business should fail because of flood, fire or other calamitous event. By and large, today’s office technology is very reliable and major system failures are few and far between. However, occasionally systems such as hard drives and system software on servers or PCs can, without notice, stop working. And when that happens, a business can also stop working. However, steps can be taken to minimise the risk of equipment failure and resulting data loss such as using fault tolerant hardware and system redundancy methods to help reduce your overall exposure to system downtime. One such strategy is to minimise so called ‘single points of failure’; points within your IT and network that, if they fail, would result in a serious disruption to your business. Generally, this involves duplication of components such as power supplies, hard drives and network devices. If your business relies on the use of a database, a replication of the database or use of a technique called ‘log shipping’ is a sound strategy. 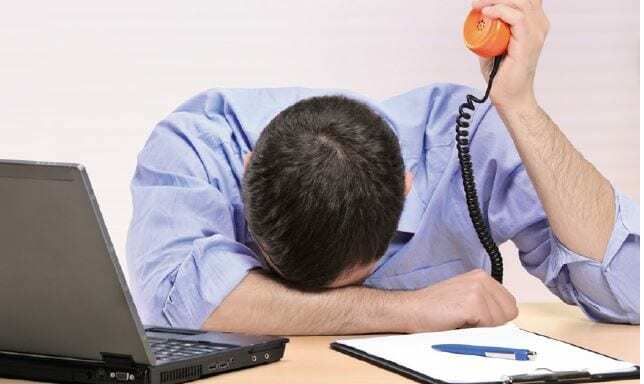 A mail order company that had data backed-up but didn’t have any system redundancy almost went out of business because it took too long to recover from a major disk drive failure. The accidental loss or theft of personal data held by a company, e.g. stored on an unencrypted laptop or because of malicious access of a company’s server, is a relatively common occurrence. Unsurprisingly, a recent survey found that 68% of SMEs in the UK do not routinely train their staff on information security procedures. In 2010, the Information Commissioner’s Office (ICO) introduced new rules allowing companies to be fined up to £500,000 for breach of the DPA. A ruling that should encourage businesses to ensure they properly safeguard personal data they hold. Following the theft of highly sensitive information, the ICO imposed a £70,000 penalty on a company. A financial services firm was fined £150,000 for the loss of personal financial data held on two backup tapes that were lost.